Patrol Deputies are our first responders to nearly all of our calls for service. When you need a Deputy at your home or place of business, it is the patrol deputy that arrives. Patrol Deputies enforce traffic code and investigate traffic crashes. They investigate criminal calls and write the reports that get those offenders prosecuted. Our Patrol Deputies help mediate and mitigate civil problems that cannot or should not be resolved in criminal court. They work security at many of our local public functions. Our Patrol unit is divided into three overlapping districts. 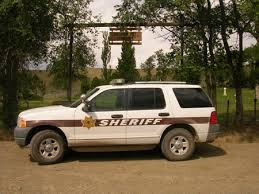 Our South District has two resident deputies that patrol the entire southern half of Malheur County from about the Succor Creek area. North District is everything north of, and including the Succor Creek area. Four deputies patrol for the north district. 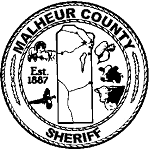 The City of Vale contracts with the Malheur County Sheriff’s office for full and complete law enforcement services. 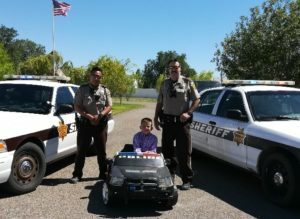 Three deputies patrol the Vale district, which is actually comprised of not only the City of Vale, but the entire Vale school district. As openings arise, Deputies are selected using a comprehensive and thorough selection process. Applicants are tested using one of four State Certified tests approved through the Oregon Police Academy. Applicants that pass the test are then invited to interview with our three Criminal Division Sergeants. The Sergeants will rate the applicants on a series of factors. One to three of the top applicants selected by the Sergeants are given a background investigation packet. This is a complete history of the applicant’s life that they are asked to fill out. A thorough background investigation is completed on those top applicants. The Undersheriff reviews the tests, the Sergeants findings and the background investigation and makes his recommendations to the Sheriff. The Sheriff will offer the position to the applicant most appropriate for the job. Sheriff for Malheur County. They are placed with a coach or an FTO (Field Training Officer). Depending on when the start date of that Deputy’s DPSST (Oregon Police Academy) class is, will determine how long that Deputy rides with his or her coach prior to formal training. Once that Deputy starts his or her DPSST Class, they will go through 16 weeks of training in Salem. There they learn the laws, defensive tactics, Emergency Vehicle Operation, firearms training, traffic stop fundamentals, Community Policing, investigative skills and the list goes on. When they return from their 16 weeks of training at the Oregon Police Academy, they will pick up where they left off with their coach. There is an extensive recruit field manual that has to be completely checked off before that deputy can be certified a Basic Police Officer. It is that Field Training Officer’s responsibility as well as the responsibility of their immediate supervisor that the field manual be completed and turned in. When the Deputy is finished with his Field Training Officer, that Deputy may ride for a week with one of the Criminal Division Sergeants for a final training evaluation. A deputy becomes a certified Basic Police Officer after 9 months on the job, successful completion of the Oregon Police Academy and successful completion of the Recruit Field Training manual. All of these efforts are put forth to ensure we have the absolute best candidate for the job. These Deputies have immense responsibility and authority and we want to make sure we are hiring men and women that can handle the load and execute their duties with precision and tact, with an emphasis on ethics. Being a Certified Patrol Deputy is the fundamental building block of many of the other units of MCSO. Tactics and safety that are developed as a Patrol Deputy are necessary in the high risk duties of SERT. Basic investigative skills are developed as a new Patrol Deputy. Skills that, over time, develop into those necessary to be a good detective.